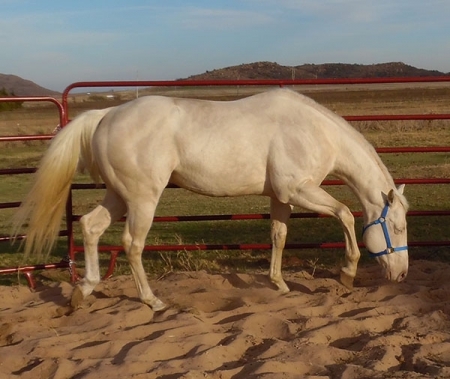 Gold Fame N Fortune, Cremello Barrel/Race bred stallion. A Future Fortunes Barrel stallion. Guaranteed Colored Foals. Sires amazing, athletic, fast foals. See site- www.bedonna.com for more info, pictures, etc.